Bell Helicopter Textron Inc., Fort Worth, Texas, is awarded $240,266,448 for modification P00009 to a previously awarded fixed-price-incentive contract (N00019-17-C-0030) for the manufacture and delivery of 12 Lot 16 AH-1Z aircraft for the kingdom of Bahrain under the Foreign Military Sales (FMS) program. Work will be performed in Fort Worth, Texas (60 percent); and Amarillo, Texas (40 percent), and is expected to be completed in August 2022. FMS funds in the amount of $240,266,448 are being obligated at the time of award, none of which will expire at the end of the current fiscal year. 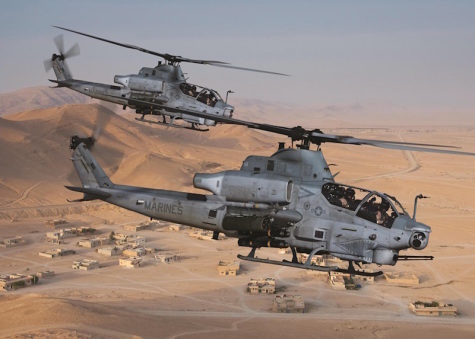 (EDITOR’S NOTE: In the Congressional notification of this sale in April 2018, the Defense Security Cooperation Agency (DSCA) said the package would comprise, in addition to the 12 helicopters, two spare engines, 14 Hellfire missiles and 56 APKWS laser-guided rockets and a comprehensive self-protection suite, for a total cost of $911.4 million.